Buying a Rolls-Royce Phantom would be easier than owning a Vechur cow, an endemic species of Kerala. One needs to wait for long and spend nearly Rs. 1 lakh to own the cow, considered the smallest of Indian cattle breeds. The market price of the cow ranges between Rs. 75,000 and Rs. 1.50 lakh, according to those dealing with the livestock. Even when one is willing to pay the hefty price, there is no guarantee that one will get a cow with pedigree. There were complaints of genetic pollution of the species, after calves bred with local ox varieties were sold as Vechur cows. The Kerala Veterinary and Animal Sciences University (KVASU) stopped accepting booking for the animal around four years ago as it could not meet the high demand. The KVASU, meanwhile, turned its attention to broadening the base stock of the animal in its cattle sheds. When the bookings were stopped, there were around 1,000 pending requests. Now the university is focusing on establishing a base stock of the animals in its farm, said K.C. Raghavan, Director, Centre for Advanced Studies in Animal Genetics and Breeding of the university. Currently, there are 110 cows in the university, he said. The media hype created around the animal along with some unproven claims on the medicinal value of its milk resulted in huge demand for the cows. The university, which earlier sold the cows at around Rs. 10,000 each, has restricted the supply of genetic material for animal breeding to its satellite units, Mr. Raghavan said. The false news that its milk could cure autism in children had led to a surge in its demand. A large number of parents had pleaded with the university to obtain the cattle variety, he said. Ideally, the animal is suited for a family that wishes to rear a cow to meet its day-to-day milk needs. The limited volume of milk produced by the small-sized animal will be sufficient to meet the demands of a family. The animal can also be maintained easily, he said. According to Harihara Iyer, an accountant-turned diary farmer, some buyers were interested only in the exotic value rather than the conservation of the species. A few middlemen and traders were out to capitalise on the fad, he said. Sosamma Iype, an animal breeder, who successfully campaigned for protecting the species two decades ago, said the animal population has recovered from the near extinct status. However, it is still considered an endangered species. 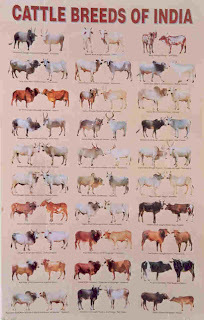 The global population of the species is pegged at around 3,000 cows. Though a species endemic to Kerala, farmers in Madhya Pradesh, Karnataka and Tamil Nadu were also rearing it, she added.